The GE Q-line 20 Amp 1 in. 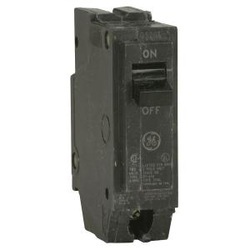 Single-Pole Circuit Breaker has a tin-plated copper stab to create a reliable, permanent and corrosion-resistant connection. The unit has a dedicated calibration screw which is cemented to prevent shifting. The attached screw creates a stable calibration for optimum performance. The breaker case is made of heat-resistant thermoset for stability and structural integrity. Q line breaker are available as follows. 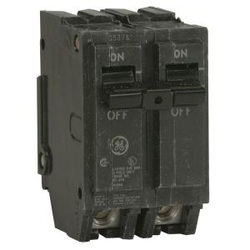 The GE Q-Line 20 Amp 2 in. 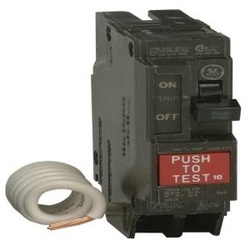 Double-Pole Circuit Breaker has a case made of heat-resistant thermoset for stability and structural integrity. The unit has tin-plated copper stabs to create reliable, permanent and corrosion-resistant connections. The circuit breaker has a dedicated calibration screw which is cemented to prevent shifting. The attached screw creates a stable calibration for optimum performance.